There’s a form of video game history that is incredibly at risk, and the majority of it is right under our noses. I grew up in Garland, Texas, a rather spread out suburb of Dallas. It was there that I first played a video game in September 1981 – Pac-Man – in a laundromat. In early 1982, there was a line to play the machine due to a talented player tying it up, and my father could see that I was getting impatient. Someone in the line informed him that the arcade across the street – called the Electronic Cowboy Casino – had three Pac-Man games. So he took me there. That moment was like walking into a whole new world. The place was lit up only by the arcade game marquees, screens, coin door lights, and some blue neon on the walls. Not only did they have three Pac-Man machines as promised, they had a myriad of other games. I still remember walking the floor and being amazed by the sight of games like Defender, Lock ‘n’ Chase, Rally-X, Battlezone and a brand spanking new Galaga machine. I was hooked for life now. The love affair was fleeting, as the Electric Cowboy Casino folded up a couple of years later just as most American arcades did around that same time. It became a bicycle repair shop a short time after that. The other area arcades also folded up, with the Casino’s competitor Nickelodeon turning into a karate dojo and later into a series of other typical strip mall businesses. The arcade down the street turned into a paint store and later into a computer repair shop. As the years went on, I had to travel more often outside of Garland to find surviving video arcades. The city of Mesquite had several I’d visit regularly, as well as a couple in the North Dallas area. But over time they, too, faded away and were replaced by your typical shopping center fodder. 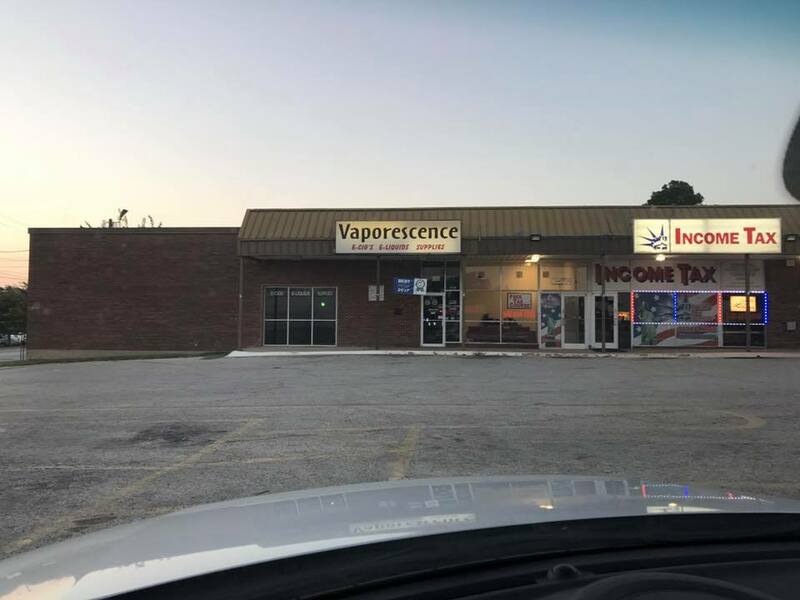 For years, I’ve often wondered if anyone besides me drives by these places and remembers them as video arcades. For some reason, all I did for ages was ask myself that question and move on down the road. Some of the first things I ever searched for online were conversations about these arcades, only to find nothing. I figured that would change over time, but it hasn’t. To this day, searching for info about the place turns up nothing but other posts by me on the topic and information on a similarly named country and western club that exists in the area now. So I finally wandered into the old Electric Cowboy Casino location earlier this year, just to see if anyone remembers. The sign outside is still in the same frame as the sign was back then, though the neon on the outside of it is long dead. Inside, the same carpet, walls, and electrical outlets that were there back in the day are still in place, as is some of the same neon light strips on the walls. I asked those working there about it, explaining my interest in it and my lack of ability to find anything online. I was told others come in once in a while who remember as I do, but they have never seen photographs or artifacts from it. The place was apparently a gym first, which explains away the mirrors on the back walls and the small room in the back that the arcade attendants never went in, which was apparently the shower room. Other than that, they have nothing, and in months of searching themselves, they haven’t turned up anything more than I have. With that, I returned home to where I live now – Denton, Texas. A double college town, I fell in love with this city 15 years ago and moved here 12 years ago. Unlike where I grew up, it really only takes a short time to drive around Denton, yet there is plenty to do and see. It’s the type of familiarity that doesn’t even require me to know street names, as I know where I’m going from the buildings and landmarks alone. It’s about an hour away from Garland with good traffic, and like travelling down the Oregon Trail when traffic is heavy. My continuing research into video game history recently led me to a conversation with the Denton newspaper and my hopes of searching their archives for information on a particular event. They informed me they’d donated everything to the local library, so I headed down there to search through microfiche, day by day, month by month. Not only did I find the kind of stuff I was looking for, I stumbled onto something I hadn’t bargained for. Information started popping up about video arcades Denton had in 1982, and the thriving culture that surrounded it all. While it’s not shocking that there would be arcades anywhere in that year, this city only had about 49,000 living here at the time, yet it contained no less than seven arcades during that time period. To put that into perspective, Denton today has but two Walmart stores and six McDonald’s locations, and a population that’s almost 2.5 times higher than it was here in 1982. But the real kicker wasn’t the news they existed, but the fact they existed in locations that I know well and drive by almost daily. 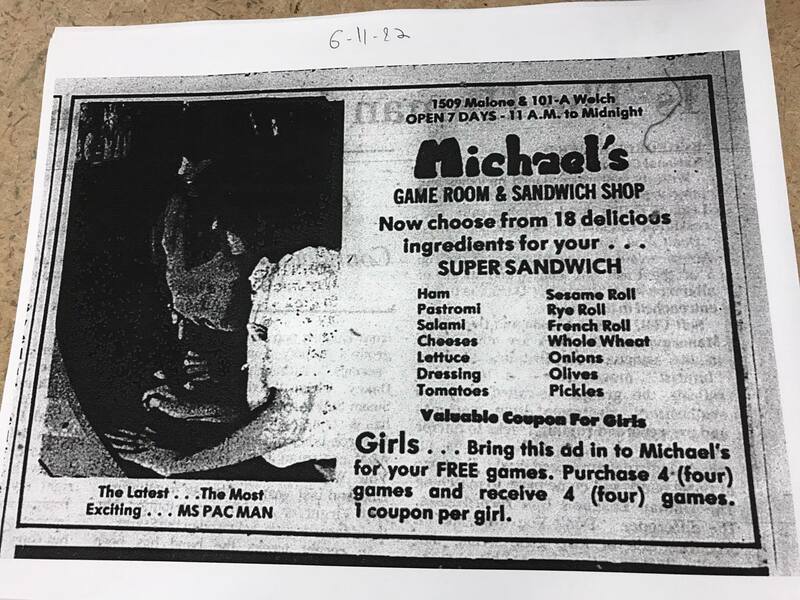 Turns out that Michael’s Game Room was where that odd Thai food place is now. Cosmic Spurs is that nail salon next to the comic book store in the shopping center with our only surviving Albertson’s grocery store. High Score Arcade was in the vape shop behind our Double Dave’s Pizza, while the Subway / Donut Store combo on the corner of town was once a Diamond Shamrock with a small diner arcade built in. Somewhere in the mix was even a Taco Bueno with an arcade attached to it, a second Michael’s location and – of course – the mall arcade, which was previously the only one I’d ever known of. In 12 years of living here, I never knew these familiar places were video arcades once upon a time. I’d never heard anyone in town bring it up, despite being known around town as “the video game guy” and even receiving fairly frequent coverage in the city newspaper. Turns out I’ve been driving past other people’s arcade memories for over a decade, yet I never had a clue. It more than answered my question about my own hometown arcade. If I can live in a smallish city for 12 years and never hear of the good ol’ arcade days in so many area stops, I imagine there’s the same lack of knowledge back in Garland. In fact, this story can likely be repeated in cities all over the country. I’m willing to bet many of you who have read this far will catch yourself nodding right about now as you think of your old “back in the day” arcades and game rooms. I preach constantly about preservation of video game history and the items connected to it all, and as much as I hear a clock ticking in regards to consoles, games, and industry history, stories of the old neighborhood arcades might be the most endangered of it all. With no real information on such places online and newspapers drying up all around the country, memories of these types of places may be gone with the wind in time as the generations that enjoyed them pass on. That is, unless this information is pulled and these stories celebrated. Emboldened, I’m continuing my look for information about the Denton arcades from back in the day so that this information can be celebrated locally. In addition, I’ll somehow be finding the time sooner than later to head back to Garland and search in similar fashion for anything relating to the old Electric Cowboy Casino and every other game room that once stood in the town. What I’m hoping this article can do is embolden others to do the same. 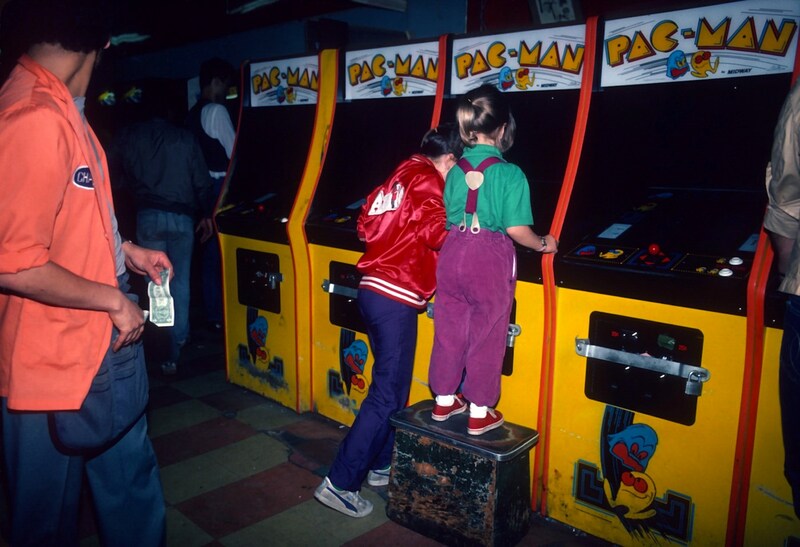 If you have any photos or keepsakes from your old neighborhood arcades, post them online and tell the stories, as I promise you people are going to look for them. I’ve already received a huge response locally to asking around about the old area arcades, despite the fact that nobody has really talked about them. If you aren’t living where you were back then, or if you are younger than the eras where video arcades were as common as Starbucks, take some time to head out to your local library and search in the same way. It may turn out that the buildings you drive by or even do business in every day was once where people would go to blast away alien invaders, gobble up dots, or help a frog across the road. Post what you find online as well, because it will mean something to someone. Long story short, it’s clear to me that we can’t wait for someone else to do this. The clock is ticking and the history is at risk. The stories of the old neighborhood arcades hold the keys to the very roots of video game culture, and there’s a lot of work to be done. Previous articleThe Ataribox: Just Another Atari Blunder or a Retro-Smart Move?